WB No. 255, March/April 2017: Featured in Design Sketchbook from WoodenBoat Magazine: The diminutive powerboat UKPIK is meant for all-season exploration on Maine’s bays and rivers. Designer Laurie McGowan began sketching the UKPIK concept at 22′ LOA, but to keep the displacement under control he shrank the boat to a mere 15′. 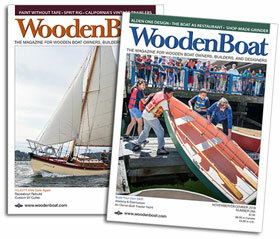 Design Sketchbook appears in every issue of WoodenBoat. 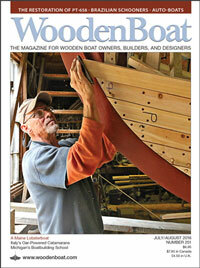 McGowan takes readers’ ideas of their ideal boats and designs a vessel to those specifications. This is 3-D concept drawing to supplement the installment found in WoodenBoat issue 255, March/April 2017. See the article for lines drawings and more details.